A national employment policy for Canada must be rich with strategies aimed at creating jobs with emphasis on full time jobs with benefits, maintaining the highest employment level possible, fueling economic growth, and supporting the economically challenged and vulnerable Canadians, so they may participate fully in society as productive citizens. 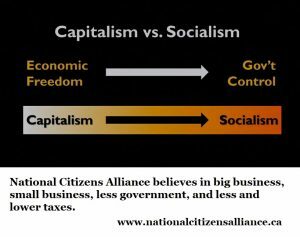 The National Citizens Alliance (NCA) believes that economic policies must focus on the production and distribution of goods and services within a mixed economy and an interconnected society and environment to ensure the long-term public good. The NCA believes that a strong economy and jobs are mutually inclusive. In addition, the NCA supports job creation by stimulating an entrepreneurial free market that operates innovatively at full capacity, and by providing Canadians with an efficient and productive public sector. The public sector would ensure fair regulation, address any market failures, and attract domestic and foreign investment through the soundness, viability, friendliness of the Canadian business environment. Further, the NCA supports domestic innovation, and thereby supports policy and practice that provide a catalyst for job creation. The National Citizens Alliance encourages Canadians to be productive and independent economically. The National Citizens Alliance rejects the welfare entitlement of the current federal governance. We support an efficient and effective federal government that a provides a fair business playing field and stays out of the private sector as much as possible. In addition, we support only necessary federal legislation and regulations. We will rescind legislation and regulations that are redundant and unnecessary, and inconsistent with the best interests of the Canadian people. Further, the NCA supports low business taxation, and fair dividend taxation for large, middle, and small businesses. The NCA policies are guided solely by what is the best interests of the Canadian people. We reject catering to international elites and globalists, at the expense of the Canadian people. Consequently, we reject for example the regressive federal carbon taxation. The National Citizens Alliance believes that the federal government including elected officials and bureaucrats must serve the Canadian people and no one else. When this true service occurs then Canadians and the country come first. The trend in Canada is towards part-time, temporary, and unstable work without benefits and away from full-time work with benefits for Canadian families. The NCA is committed to reversing this trend through business incentives and stronger business environment, and establishing and attaining a benchmark of the number of full time jobs with benefits in Canada. In addition, the NCA believes that these benefits should include sick benefits for workers across the country. The NCA will work with any party that will put economic growth and job growth ahead of political partisanship. The NCA will encourage growth of the economy, and provide equality of economic opportunity for all Canadians including the economically challenged and vulnerable. The NCA membership vote on 2014-03-22. The vote resulted in 100 percent of the membership in favour of the Employment and Economic Growth Policy Statement with a 100 percent quorum. This vote outcome satisfies the minimum 70 percent membership support and 50 percent quorum required for adoption of policies as per the NCA Founding Document.